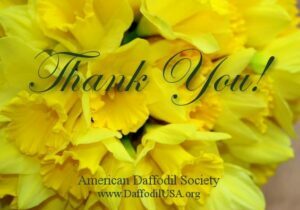 The Gerritsen family were raisers and growers of daffodils since 1900, with succeeding generations of the family carrying on the business. It was Jack Gerritsen who brought the split-corona daffodils into prominence. In 1980, with no family members left to carry on the business, Mr. Gerritsen sold the remaining stocks to other growers.